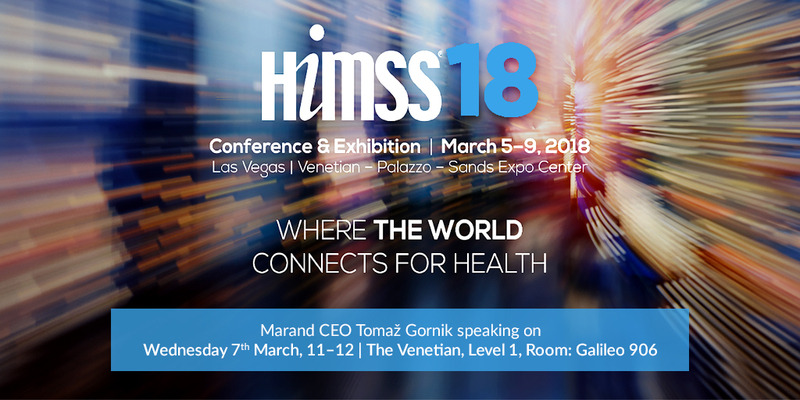 During his presentation at the annual HIMSS Conference in Las Vegas on Wednesday, March 7th, Tomaž Gornik, Co-Chair of openEHR Foundation and CEO at Better by Marand, will address the issues of sharing clinical records across applications and organisations. The openEHR approach is based on open standards and aims to transform health and social care by separating applications from clinical data thus enabling shared care records. This approach has been recognized by Gartner Group. In a recent research note, Gartner concludes: "Truly effective and sustainable open architectures will need a capacity for vendor-neutral data persistence, such as utilizing a common scheme or set of archetypes and rules for managing structured and unstructured data". In his presentation, Mr. Gornik will speak about real world examples which prove that openEHR based solutions can be applied at scale, enabling providers to meet requirements of the HIMSS EMR Adoption Model Levels 6 and 7. The session "Healthcare and social care is changing - start thinking open platforms" will take place on Wednesday, 7th March 2018, from 11.00 to 12.00, at the Venetian, Level 1, Room: Galileo 906. The speakers are Tomaž Gornik, Co-Chair of openEHR Foundation and CEO at Better by Marand and Inge Andersson, Head of Offering & Portfolio, Tieto Healthcare & Welfare Nordic.